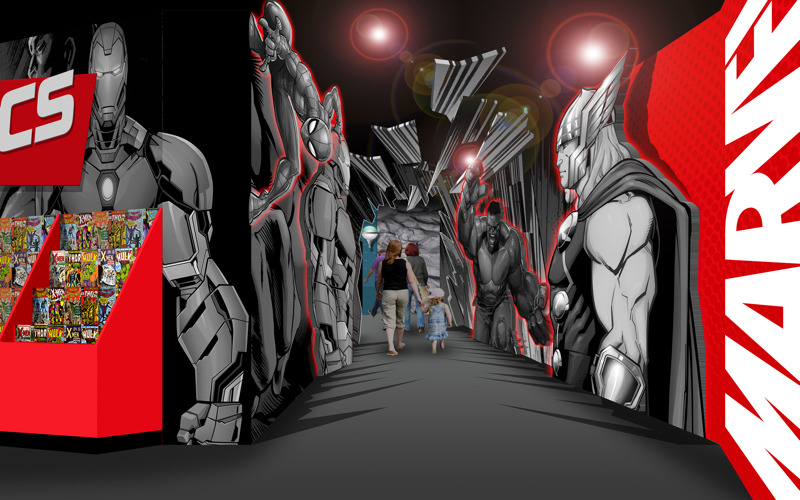 This March, super heroes are descending on the Lancashire coast as Madame Tussauds Blackpool launches its Marvel Super Heroes attraction. Explore four exciting zones and jump into the action with a variety of interactive experiences to excite and delight visitors. Each takes inspiration from the original comics as well as the blockbuster films that continue be a huge hit at the box office. Not just for comic fans, Madame Tussauds Blackpool is a great day out for the whole family – a popular and immersive experience where visitors can mingle with the stars (in wax form) and get up close and personal with the likes of Ed Sheeran, Ariana Grande, Olly Murs, Brian Cox and your favourite Coronation Street characters at the Rovers Return. To celebrate the launch, we’re teaming up with Madame Tussauds Blackpool to offer ten families of four the chance to win tickets to the attraction and be one of the first to experience the brand new Marvel Super Heroes!